Three teams from SVGS competed in the CyberPatriot National Youth Cyber Defense Competition, sponsored by the Air Force Association. There were two practice rounds and two competition rounds, which sorted the teams into Platinum (top 30%), Gold (middle 40%), and Silver (bottom 30%). Two SVGS teams qualified for the Platinum level in the State round, and one team qualified as Gold. SVGS teams did well in the State round in mid-January, and one team qualified for the semi-final round by placing in the top 25% of the Platinum level. 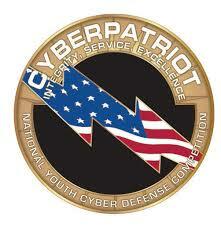 Over 3000 teams nationwide competed in CyberPatriots this year, with 805 of the teams coming from Virginia. The team that qualified for the semi-finals placed 15th in Virginia. Team members participating in the semi-finals are Ben Rochford, Cameron Gates, Nathan Harris, Luke Gaines, and Joshua Weaver. The competition puts teams of high school and middle school students in the position of newly hired IT professionals tasked with managing the network of a small company. In the rounds of competition, teams are given a set of virtual images that represent operating systems and are tasked with finding cybersecurity vulnerabilities within the images and hardening the system while maintaining critical services in a six-hour period. The virtual images for the competition use the Windows 10, Windows Server 2016, and Ubuntu Linux operating systems. The competition also includes a quiz on Cisco Networking and a network simulation using Cisco Packet Tracer. The other SVGS team members were Julian Wilson, Nick Kanode, Isaac Coffey, Noah Robeck, Max Jones, Trevor Borchert, Max Elkins, and Brandon Bauer.